Day two of the Watts family's fishing adventure... NO BANANAS!!! 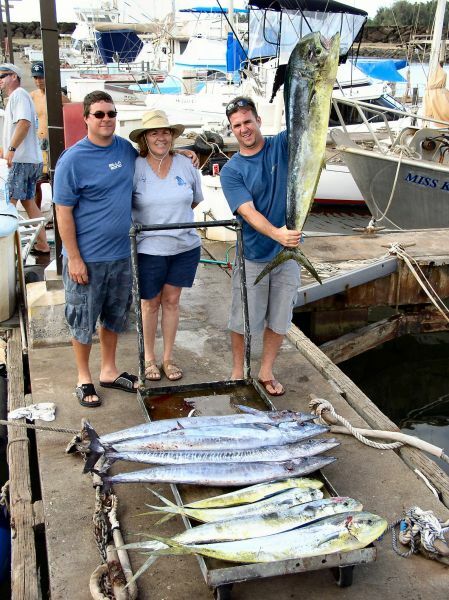 4 Ono's and 5 nice Mahi Mahi. Brian's cow weighed 32 pounds. A great fish on light stand-up tackle. Thanks for a great second day folks.